Mahindra Flyte is stylish, powerful and city friendly scooter. This scooter is truly designed for Indian roads and traffic. The scooter is evolved to make you zip through heavy traffic and is designed for comfort and storage capacity. The wide body give it a rock solid powerful look. It has sleek lines and choice of seven different colours. The wide seat promises a nice and comfortable ride. You can be seated while refuelling your scooter as it has front fuel tank which gives you the freedom to do this. The wider seat gives a large storage capacity so there is no tension while shopping. The four-in-one key system multitasks to start the ignition, open the fuel lock, lock the handle. It has rear lock liver, so that you will be safe even on sloppy roads and your scooter stands still. The higher handlebar makes this scooter good for people whose height is more than the average. This scooter has compact dimensions that measure 1790 mm in length, 650 mm in width, and is 1100 mm high. 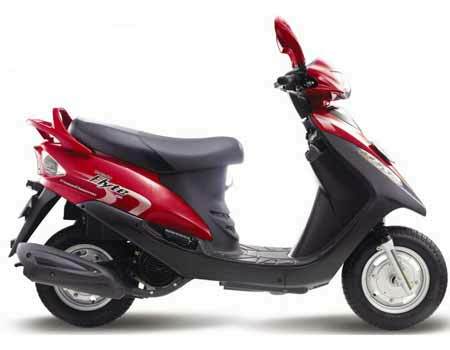 This is a stylish scooter with powerful solid Mahindra’s 4 stroke powerful engine. It has good fuel efficiency which is a must for scooters in India. Like other Mahindra scooters, this scooter is also a great combination of power and performance.